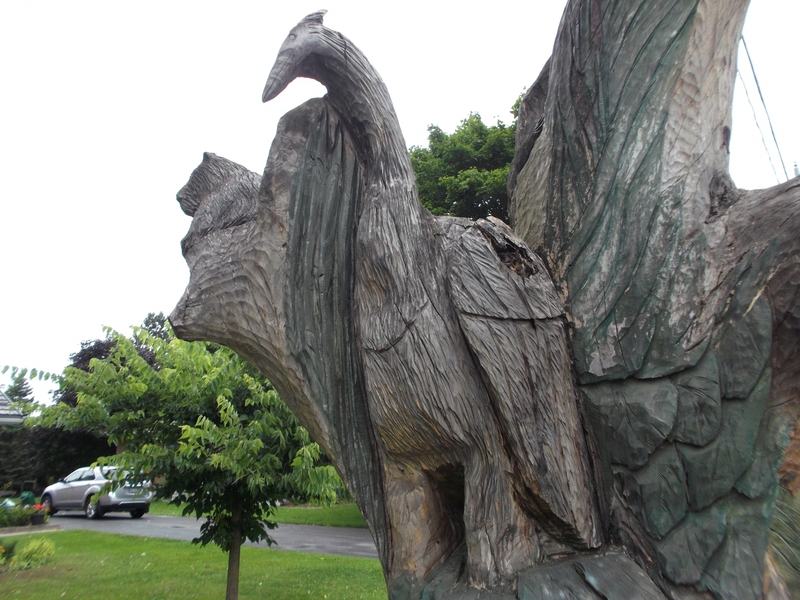 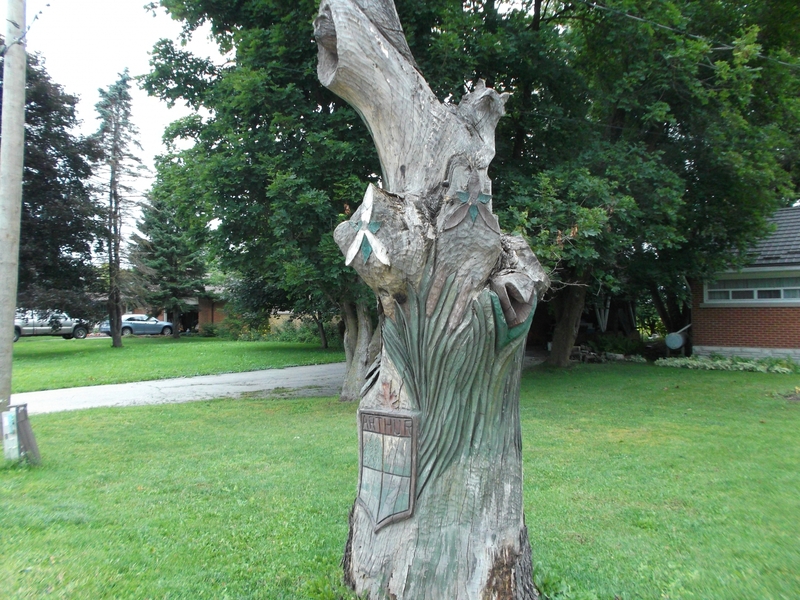 This unique tree sculpture is in front of 342 Smith Street in Arthur. 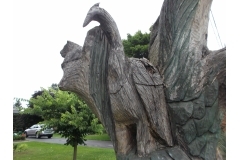 Very little colouring has been used and the remaining parts are the original wood. 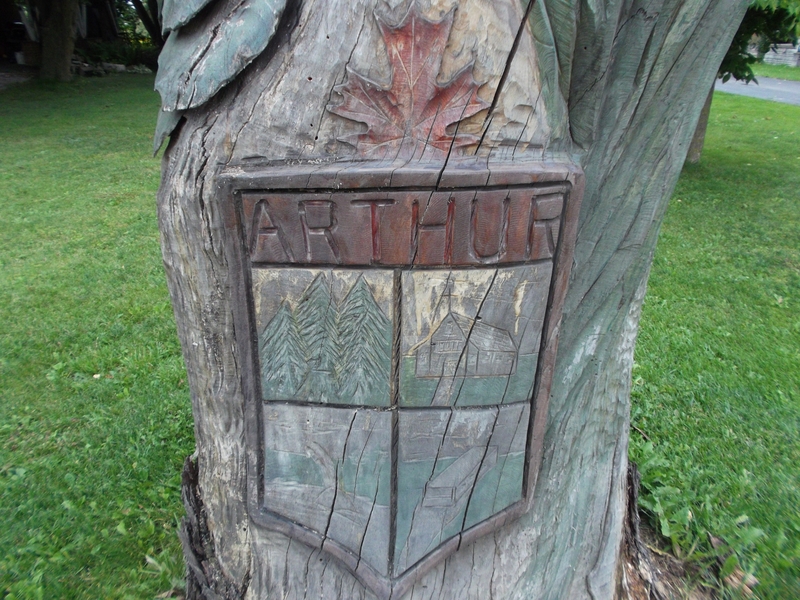 In front, near the bottom, a crest of Arthur is depicted.with a maple leaf on top of it. 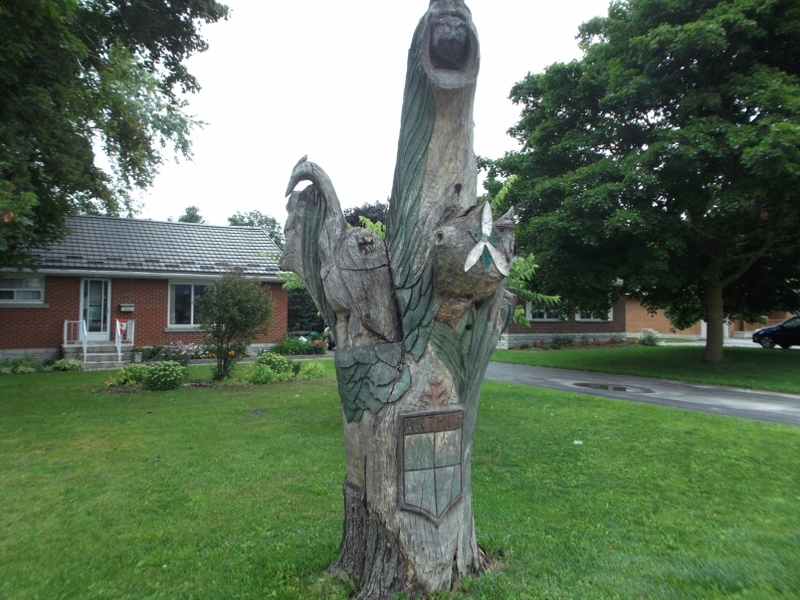 There is an owl peeking out of the top limb of the stump, and around the stump are a heron, coyote, and a trillium flower.